the amber threads blog: Some new items in the store and better pictures! 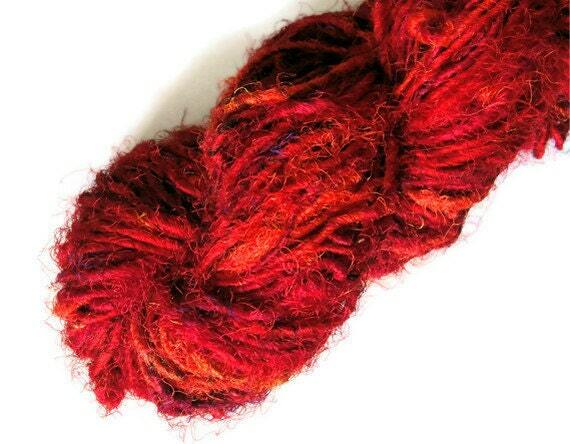 I made a huge sale of the yarn below, as soon as I took and uploaded better pictures. Just goes to show how important good pictures are and also that what you think is a good picture might not really be good. I won't be surprised if I come along a few weeks from now and want to retake this picture all over again. 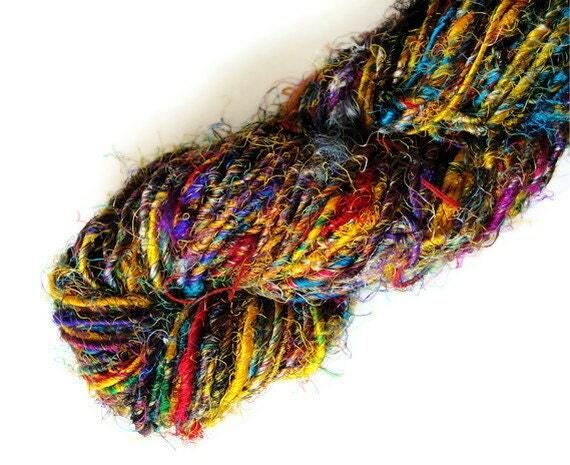 And the one below is new and my current favorite recycled sari silk yarn. 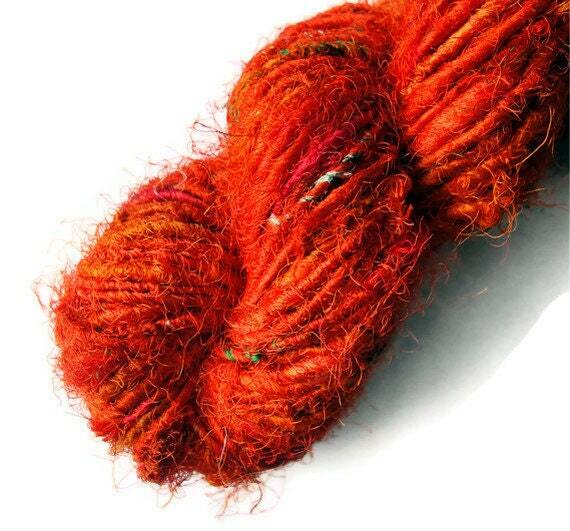 Super bright, will look great with the yarn above or my yellow or purple. I want to start knitting for fall right away, slow knitter that I am. I'm so addicted to silk now, but I think my 3 yr old will not particularly like a silk sweater. And my stash has so much wool, cotton and acrylic yarn but not enough or not right for a toddler's sweater. I'm losing all the love for my stash. It's so pointless, takes up so much space and I never have enough to make anything. My next project - bust stash!